The journey begins with a transfer to Villes-sur-Auzon, a charming village in the region of Mont Ventoux and an ideal starting point for the Gorges de la Nesque. 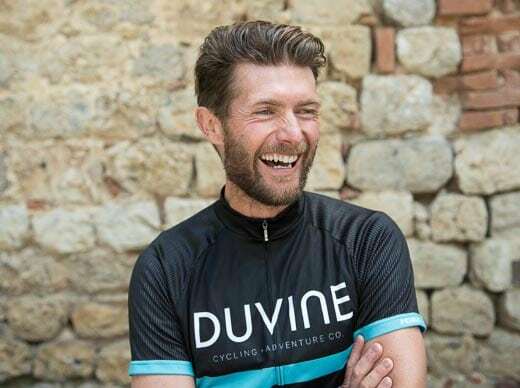 Fuel up with a seasonal Provençal lunch at a farm set in the middle of vineyards, followed by our bike fitting and safety talk. Our first ride will take us into the exceptional landscape of Gorges de la Nesque, a picturesque route that approaches Sault. 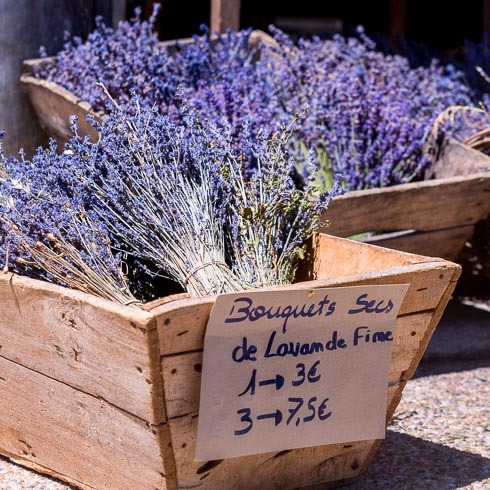 In the lavender capital of Provence, we’re met with tidy rows of purple stretching as far as the eye can see and the unmistakable fragrance of lavender in bloom. 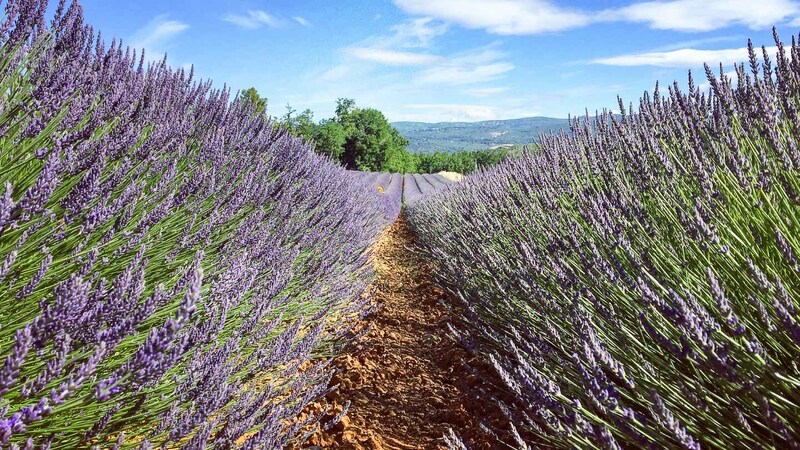 After some downtime at our hotel, visit a lavender farm near Sault to get acquainted with the different varieties and uses of this soothing plant. 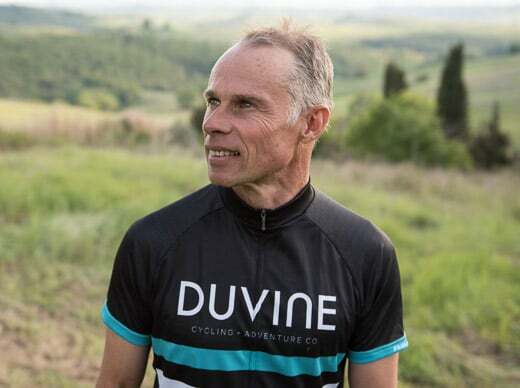 Tonight we toast to a beautiful biking adventure over a Provençal meal. 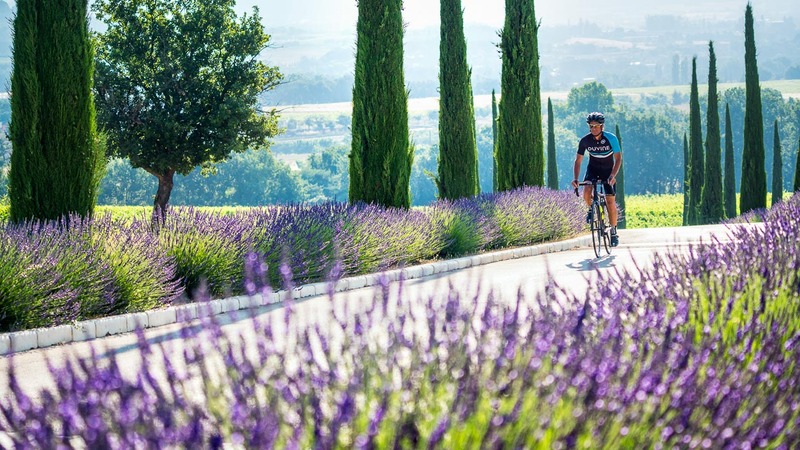 After breakfast with a view of Mont Ventoux, head out for a much-anticipated ride through the lavender fields, forests, and mountain passes that border the regions of Vaucluse and Luberon. Pause for a visit to a goat cheese farm to see how this type of fromage is made, then dine alongside locals in Saint-Saturnin-lès-Apt, a peaceful town where the weekly market is in full swing. Then it’s off to Roussillon to admire the boldly colored cliffs of the otherworldly ochre canyons. Opt to finish riding all the way to the hotel, or hop in the van for a quick lift to our home for the next two nights. Tonight’s dinner is at our favorite Provençal restaurant near Gordes. Begin with a traditional Provençal breakfast before today’s ride towards the “Golden Triangle” of Luberon. 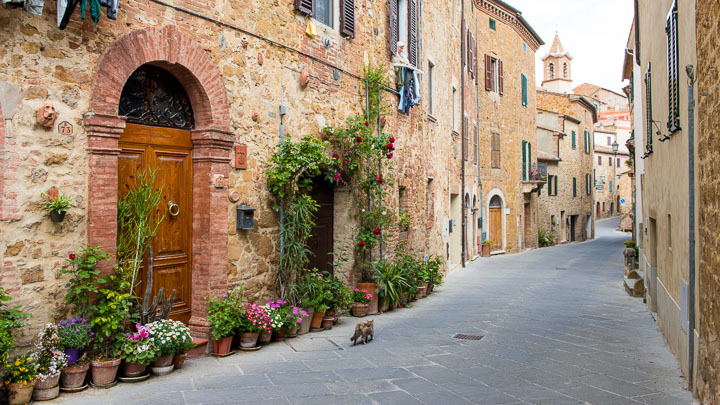 This trio of villages includes Bonnieux and its unmistakable church tower; Lacoste, where we will see the castle owned by French fashion designer Pierre Cardin; and Menerbe, made famous by Peter Mayle’s book A Year in Provence. Pique your appetite with an olive oil tasting hosted by our friend Andre, followed by a picnic lunch prepared by the guides. This afternoon, you can keep pedaling through the Luberon Valley or hop in the support van headed straight to Gordes. 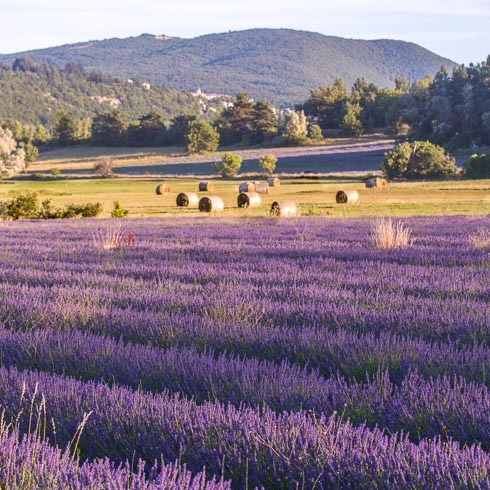 The lavender field here is famous—it unfurls in a striking purple carpet that ends right at the doorstep of the Notre-Dame de Sénanque Abbey. Make a final push back to the hotel or hurry back in the van to take advantage of the spa or relax by the pool. Our final meal together will be a special evening at the hotel restaurant. 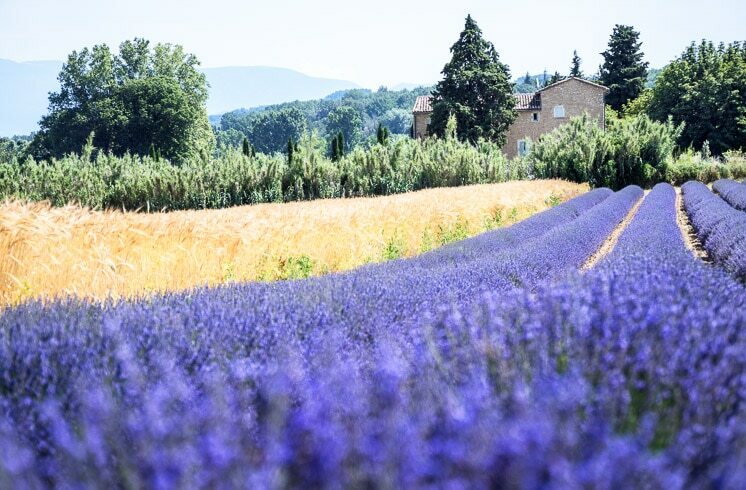 Spend your last morning as you prefer—linger over a leisurely breakfast or take a final spin through the countryside of Provence to bid farewell to its bright colors, rustic villages, and enchanting lavender fields. 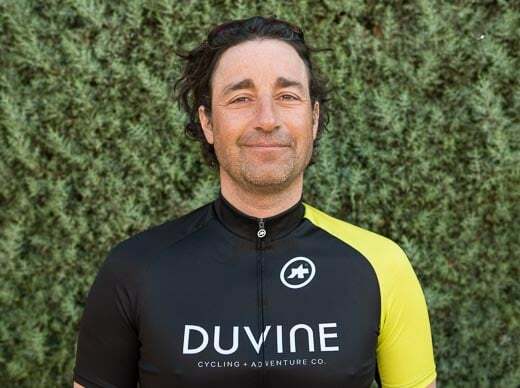 If you’re in the saddle, stop for a cappuccino in Murs and enjoy your accomplishment at reaching the very top of the Luberon. Our adventure concludes at the Avignon TGV train station where your guides see you off to your next adventure.